MEET & GREET | BAN: CULTIVATED SYNERGY — Denver Dab Co.
What are you up to #Friday? #DDC will once again be hanging at @cultivatedsynergy for Budtender Application Night! Swing by out table to grab a snack, and enter for change to win a killer piece from @al.kapaun.glass. Mark your calendars, and come party! "My full name is Daniel Alan Kapaun. I'm coming up on three years of blowing glass. I dabbled briefly when I was 20, Then finally came up with the start up capital I needed and started piecing together a studio in November of 2014, and in September 2015 I started and apprenticeship with Cajun Glass design where I learned the fundamentals of blowing glass. In April 2016 I left my apprenticeship, and started experimenting on making dab rigs as well as trying new shapes. In that time I've taken classes with Miles Parker, Carmen Lozar, Robert Mickelson, and Shane Fero, plus the numerous people I had the privilege of observing at this years East Coast Melt. Glass for me is an escape from life, and I don't think it'll ever get old, since there's always room to improve and knowledge to gain." 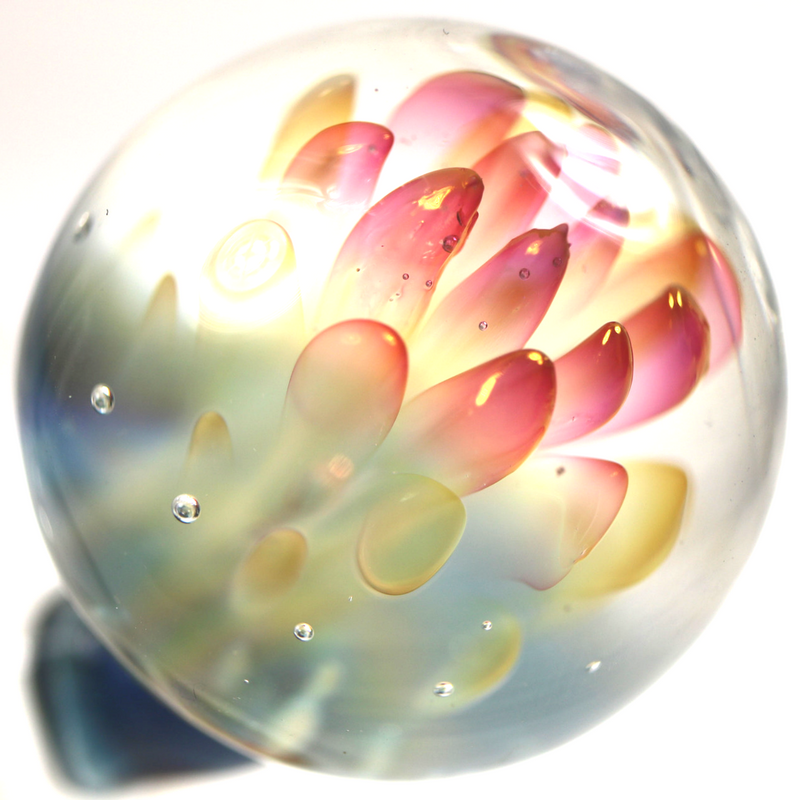 A 14mm banger, this piece has a silver and gold implosion marble with my colorblind rendition of a fire and ice wig wag. In the wig wag and around it is some Illuminati, so if you hit that with a black light it should stand out.